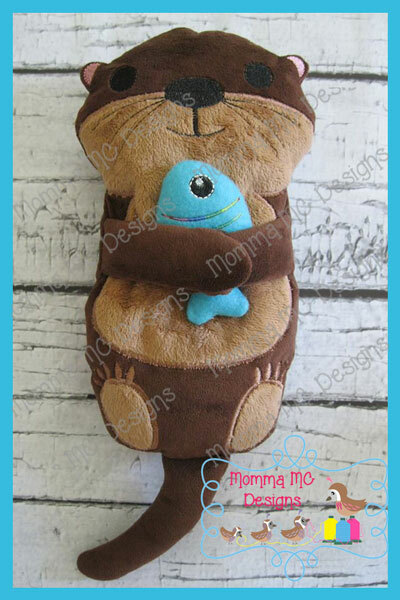 Make your own adorable Otter IN THE HOOP! He even comes with his own shell and fish to hold! 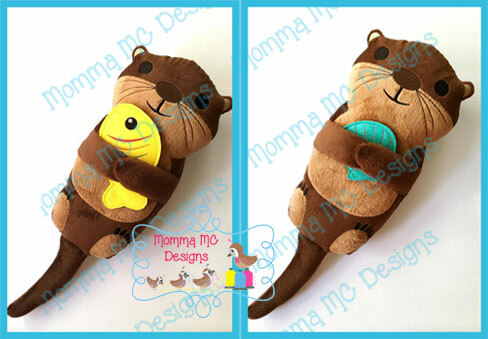 The Otter Softie comes in multiple sizes to fit many hoops: 4x4, 5x7, 6x10, 7x12, 8x12 and 12x14. The otter is finished in two or three EASY hoopings, depending on options and size. Included is a very detailed photo tutorial and stitch maps. Please be sure to read the tutorial before beginning your project. 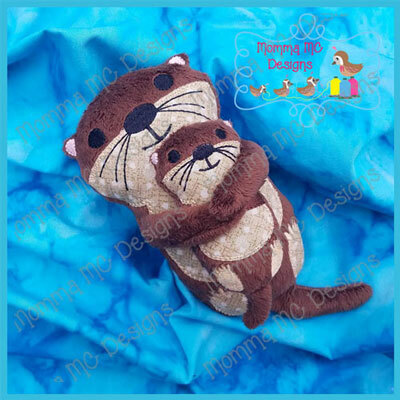 This otter is so cute and stitches out perfectly, it is so lovely with the little shells and fish for it to hold, I made one holding the baby otter and is looked GORGEOUS.